Ancient military commanders have led thousands of men into battle in order to triumph over the enemy. Their elaborate speeches prior to battle, many of which are still remembered today, have inspired thousands of men on the battlefield. 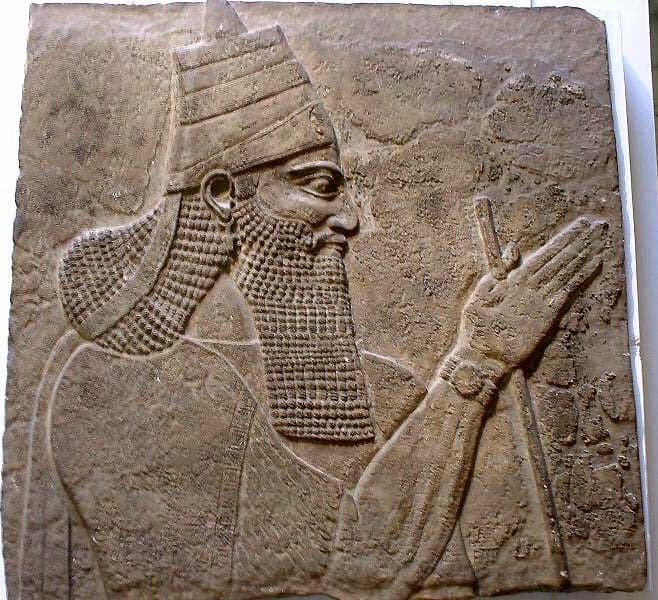 Tiglath-Pileser III was the founder of the modern military force and a pioneer of the Assyrian Empire’s political system. During his reign, he expanded the kingdom so that it dominated the Middle East for a century. 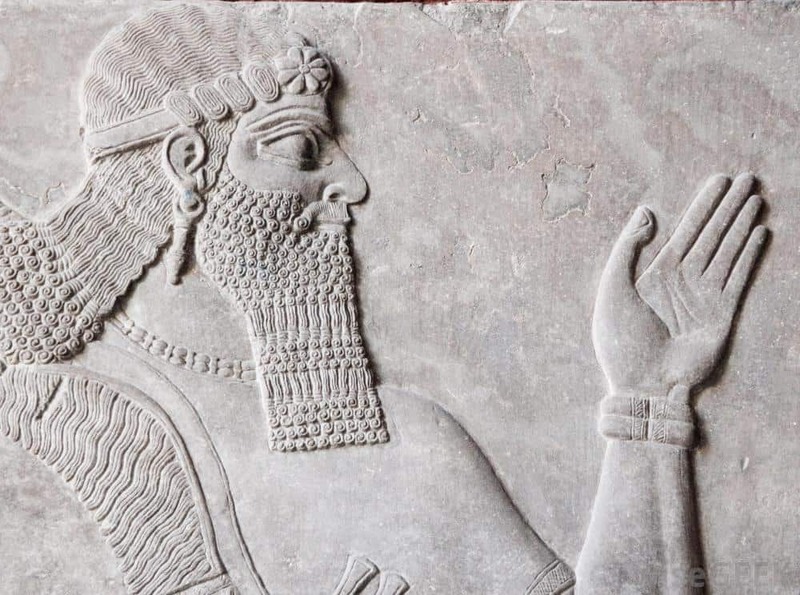 In the first year of his reign, he defeated the powerful kingdom of Urartu, ruled by Sarduri II. Sarduri II had expanded his kingdom into Asia Minor, northwestern Mesopotamia, Iran, and Syria. It was one of Tiglath-Pileser III’s most significant victories. 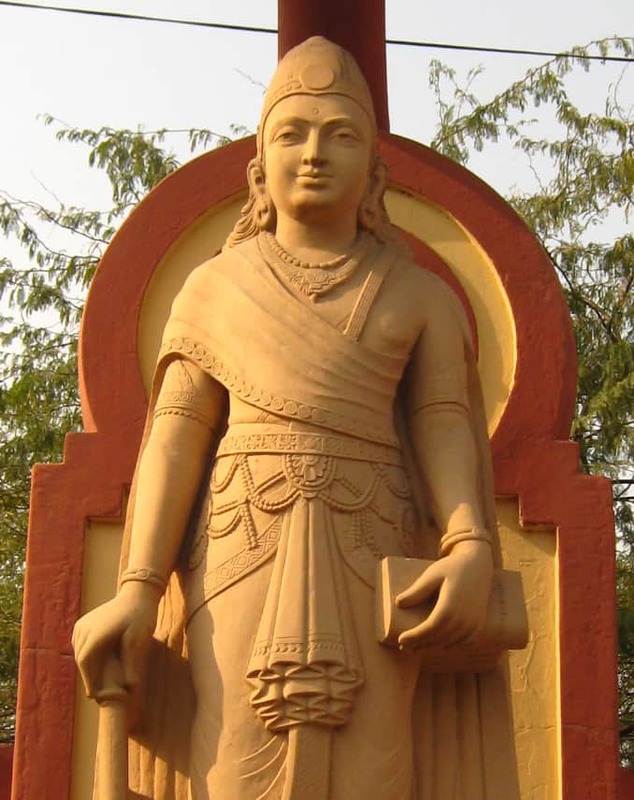 Chandragupta was the founder of the Maurya Empire and a Kshatriya varna ruler. He reunited India into a single sub-continent. Chandragupta is usually considered the first historical emperor of India. Before Chandragupta, India was divided into small private kingdoms. He conquered all these small kingdoms and created a central government and a unified central kingdom. 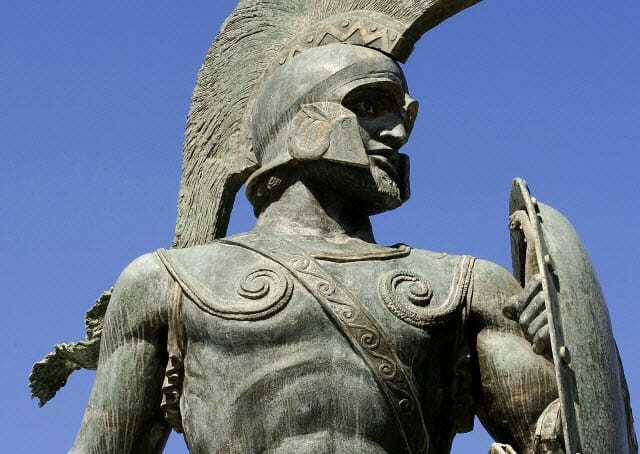 Leonidas was a military king of Sparta. The third son of Anaxandridas II of Sparta, he is mostly remembered for his extraordinary performance at the Battle of Thermopylae. He fought against Xerxes’ army with his small, yet powerful force. The 300 Spartan men fought valiantly but were completely outnumbered. Even though Xerxes’ army was said to be in the millions, many historians believe that the real figure was between 100,000 and 150,000. The small assembled force of 300 Spartiates fought the battle for seven days, holding back the Persian army of thousands. On the fifth and sixth days of battle, Leonidas and his army killed roughly 20,000 Persian troops. On the seventh day, Leonidas sent out all of his Greek troops and stayed in the pass with his 300 Spartans, 900 helots, and 700 Thespians. Leonidas and his men had a glorious death and are still remembered in the many legends that have been told about them. Hammurabi was the first king of Babylon from the Amorite dynasty. He inherited the throne from his father, Sin-Muballit in 1792 BC. Hammurabi is popularly known for the Hammurabi Code, one of the first written sets of laws. He is now widely praised by many historians as an ancient law-giver. When the Elamites (present-day Iraq) invaded the central plains of Mesopotamia from the east, Hammurabi joined forces with Larsa and defeated them. After the defeat, he broke the alliance and invaded the cities of Lsin and Uruk which were occupied by Larsa, forming alliances with Nippur and Lagash instead. He then conquered Nippur, Lagash, and Larsa. His brilliant strategy was to block the water source to the cities until they surrendered. In addition to his brilliant fighting techniques, Hammurabi was very popular among his people. He constructed buildings and canals and introduced a system of law that was rare in his time. Throughout his reign, he constantly tried to improve the lives of ordinary people. Ramesses II was the greatest and most celebrated pharaoh of ancient Egypt. Although Ramesses primarily focused on the development of the empire by building cities, temples, and monuments, he was also well known for his bravery and strategy on the battlefield. Ramesses started several campaigns to secure Egypt’s borders and during his reign, his army of 100,000 men fought the Nubians and Hittites for their territories. The Battle of Kadesh was the earliest battle (1247 BC) where strategy, army formation, and the use of tactics were first noticed. Despite some technical errors on the battlefield, he is widely known for his strategic approach to battle and the sheer size of his army. Khalid was a follower of the prophet Muhammad (PBUH) and was one of only three military generals who have remained undefeated in battle. Under his military leadership, Arabia was united as a single political entity for the first time in history. He was the only military commander apart from Hannibal who successfully executed the pincer movement against a larger superior opponent. Khalid played a major role in the Battle of Uhud and was instrumental in commanding the Medinan force at the Battle of Ridda after the death of Muhammad. He conquered central Arabia and subdued the Arab tribes. His fabulous tactic was to annihilate the enemy troops rather than simply defeat them. He was the architect of most of the early Muslim military doctrines. 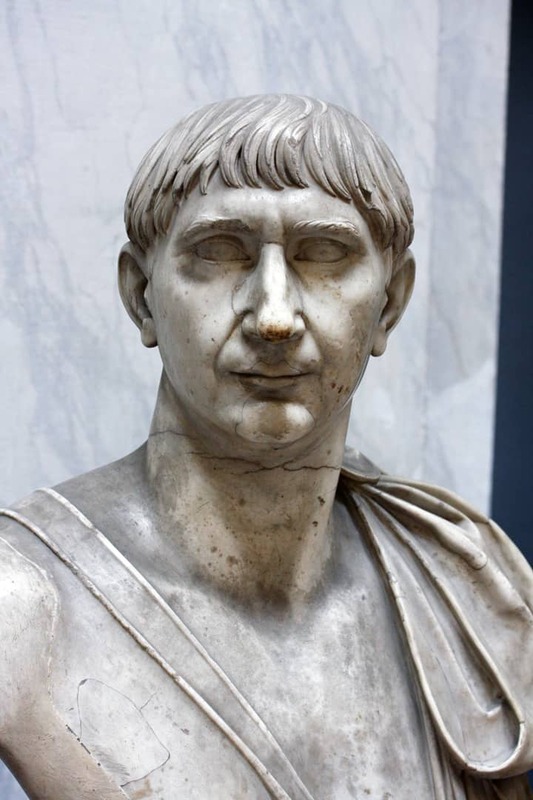 Trajan dedicated his life to different military campaigns. He was mostly known for the conquest of Dacia (modern-day Romania and Moldova), which had troubled the Romans for a decade. After Dacia, Trajan started a war with the Parthians and defeated them. He conquest Mesopotamia and created a new province. 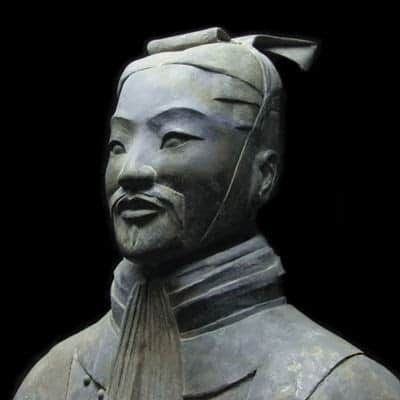 Sun Tzu, Chinese military general, war strategist, and author of The Art of War, completely changed the way war was fought in ancient times. The Art of War has been studied by many military commanders, nations, and intellectuals and has remained the most important military treatise in Asia for the last 2,000 years. In the 20th century, The Art of War became influential in Europe and America in various fields such as culture, politics, business, sport, and modern warfare. 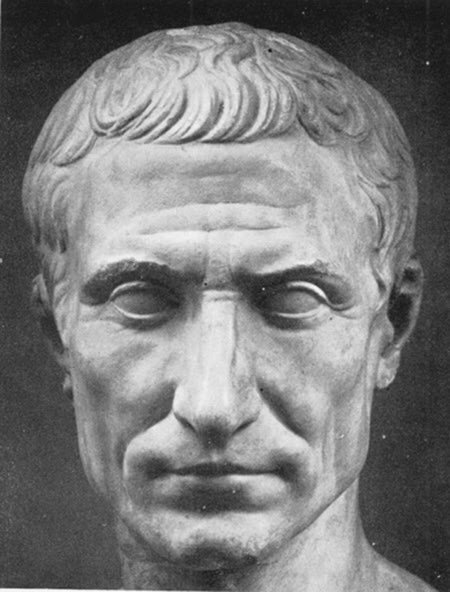 Julius Caesar was a brilliant military general, lawgiver, builder, and politician. He was one of the most famous figures in ancient history, and he has had a significant impact on the ancient and modern world. The word for emperor often comes from variations of his name in different languages, such as “kaiser” in German and “tzar” in Russian. The month of July, which was previously known as Quintilis in Rome, was named after him. He conquered Gaul (modern-day France, Switzerland, Belgium, and northern Italy) and was also the first Roman emperor to lead a military expedition to Britain. 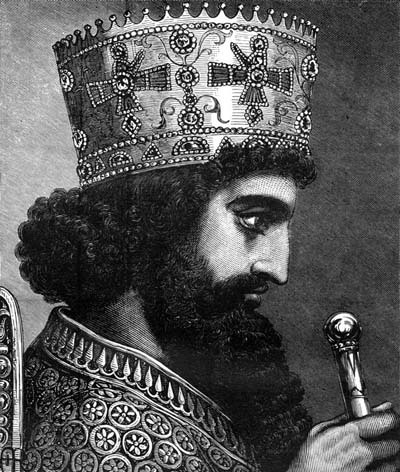 Cyrus the Great was a Persian leader who conquered the Medes and unified the whole of Iran under a single ruler for the first time in history. Cyrus became the first king of the Persian Empire and established one of the largest empires in the world. He expanded his territory from the western part of present-day Iran and conquered a major nomadic tribe who lived in the eastern part of Iran. He invaded the kingdoms of Lydia and Greece and conquered them along with the coast of Antonia, which gave him access to the sea ports of the Mediterranean. He issued the first human rights declaration of the ancient world which stated that all inhabitants of the empire were free to practice their own religions and social customs. He made slavery of any kind illegal and prohibited the seizure of any farmer’s land or property. Hannibal was an audacious military commander who also had the advantage of superior military tactics and strategy. 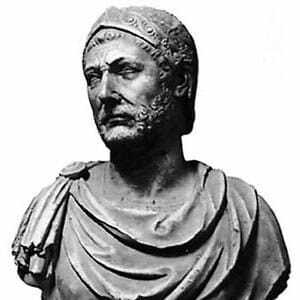 Hannibal’s hatred of Rome was instilled in him from a young age by his father, Hamilcar, who fought against Rome in the First Punic War. Hannibal’s ingenious military tactics and risk-taking behavior have earned him much admiration from historians. Hannibal was mostly known for his courageous attempt to cross the Alps with his 50,000 infantry, 9,000 cavalry, and 37 elephants which was thought to be impossible at the time. The never-ending conflict between Rome and the Carthaginians resulted in the Second Punic War, where Hannibal shows his brilliant military tactics. Despite all his efforts and great military strategies, his life mission to conquer Rome came to an end when he committed suicide to avoid falling into Roman hands. Military genius and King of Macedon, Alexander is one of the most respected military commanders of all time. After the assassination of his father, Alexander inherited the throne and the 20-year-old king continued his father’s mission to expand the kingdom. He took an army of 50,000 on a 12-year march with the intention of expanding his territory. He grew the kingdom from the Adriatic Sea to the Indus River in India, and from the Danube to the upper reaches of the Nile. Undoubtedly, Alexander the Great and Hannibal were the two biggest inspirational military commanders of the ancient world. The list here includes only ancient leaders, and therefore other great commanders such as Napoléon Bonaparte and Genghis Khan are excluded from the list. Genghis Khan’s not even on the list? He was easily a better leader than Alexander. @Nicholas Iseman: Genghis Khan did not belong to ancient world – the list mostly runs in BC. If we are going there, we should start with Atilla the Hun. Genghis is not considered as an Ancient Warrior. His timeline is PAST what is classified as an Ancient timeline among Scholars. I have not included Genghis Khas in the article because all the military commanders are from the ancient period. Lol yea right khan had a giant army of like 300,000 troops he had way better technology and he wasn’t even a good military general he was only a good empire builder and economics expert. His generals did most of his commanding for him. Alexander had 2 mil square miles to cover in 12 years with an army of 50,000 and by the time he was done he had lost less than half. He is also know as the greatest general to ever live by many historians. If he had lived as long as khan Alexander would have probably been close to conquering most the know world back then. Have u seen his river battle during his invasion of India? That was genius. Sure, how can you say that Genghis Khan was better than Alexander the Great, yet the all the military tactics used by the Mongolian leader around the 1200s was from Alexander the Great, But for me although Khan influences the next generation’s military he can not be better than Napoleon I Bonaparte the Great, because all the military commanders are issued by the Napoleonic wars timeline, instead young General Napoleon I Bonaparte the Great was better than Alexander the Great and even Genghis Khan. Scipio Africannus of Rome never lost a battle and he soundly thrashed Hannibal at Zama. He should certainly be on the list. Khalid Bin Walid never beat anybody who was any good which is why I suspect he is put on the B.C. list even though he lived way past that time. Nebuchadnezzar of Babylon somehow always gets overlooked on ancient commander lists. He crushed both the Assyrians AND the Egyptions and conquered some 16 kingdoms including the supposedly impregnable city state of Tyre (long before Alexander did). Scipio Africanus never lost a battle because he never faugh a truly difficult one. He always avoided ones that seemed unfavorable let to him. His only true achievement is defeating Hannibal. And his “thrashing” of Hannibal at zama is more complex than you have probably read. When the Romansun agreed to a ceasefire, their only demand was that Hannibal must vacate Italy immediately. When Hannibal returned to Africa the numidian king deserted the carthaginian cause and sided with rome. So Hannibal went into battle with Scipio lacking any good cavalry force plus his infantry was made up of bruttians, conscripts essantialy from lower Italy that he brought back with him. And witness accounts say that the infantry battle was even and only changed when the numidians attacked Hannibalso flanks and rear. Do some research before making suggestions. I agree, though, the Battle of Zama had a lot of luck and excellent timing by the Cavalry, but that’s not to say that Scipio hadn’t done his research. He studied Hannibal well especially after the traumatizing events at Cannae and it was clear that Hannibal inspired Scipio to think deeper about battles (Ilipa). That Scipio avoided battles he might not win shows him to be a good commander. Was it not Chingis Khan who (perhaps apocryphally) said “Never fight a battle you cannot win”? Khalid bin Walid was one of the best military commanders of all time. ‘He was written as BC because he did’t fight anyone good’ is an uneducated and futile comment to be writing. Khalid bin Walid fought in over 100 battles with armies of 30,000 plus whilst his own army consisted of 10,000 people. Furthermore the battles were one on one sword fighting and he proved to have excellent horse riding and sword fighting showmanship. He conquered the Byzantines and Romans who were the super powers of the time. And everyone knows that the Romans had an undeniable military strategy.With intense fighting in each war where he broke nine swords in one battle alone and having over 100 of these battles with an average of 30,000 opponents in most of the battles. You would be foolish and the jester of historians to be saying that he didn’t ‘fight anyone good’. He has been a legendary soldier and his legacy is still remembered and known today not only by the 1.6 billion Muslims around the world but also by historians and intellectual professionals, not like yourself. This post is full of errors: 100 battles with average of 30,000 this is simply ridiculous, “he conquered Byzantines and Romans” is a mistake, Byzantines and Romans is the same empire (Eastern Roman). Moreover, he conquered only the middle east part of the byzantine lands and helped a lot by a) the internal religious tensions within the empire and b) the catastrophic situation of the two main powers Byzantium and Persians after a 20 years war. This list needs to include Epaminondas. He’s the father of the tactics Phillip II introduced to the Macedonians, and later his son. Phillip was tutored by Epaminondas while the Thebans were destroying the Spartan empire. Oh yes, did I mention, Epaminondas destroyed Spartan dominance in Greece, and was about to take the city but died in the battle that was meant to be the Spartans last gasp (Mantinea). Due to Epaminondas’ death the Thebans backed off, but Epaminindas’ revolutionary tactics again carried the day. Scipio Africannus being left entirely off this list but having the dude that he ultimately defeated at Number 2 is pretty insane to me. Otherwise this list seems cool, I admit some ignorance to overall ancient military history but I do know Scipio should find a spot somewhere on here. Ramses II was an overrated egomaniac. He was a self-promoter and his reputation is based on his own bragging. He was out-generaled at Kadesh and only got out of being hacked down by the Hittites because they broke discipline and went for the baggage train. He also lucked out that by chance there were some Egyptian “cadets” nearby (not through any forethought on Ramses’ part), who helped get him out of the encirclement on the second day. Like Harold at Hastings, the Hittites had that battle won, but did not win because of a breakdown in discipline. The only difference is that the Hittites at Kadesh at least gained a tactical victory because they held the battle field at the end of day two. After Kadesh, Ramses was more than happy to sign a peace treaty. Too true. But for the serendipitous arrival of fresh Egyptian troops at Kadesh Ramses would have brought about his own death. Cyrus the great and Surena was the best Commander in history. All the military commanders listed in the article are from Ancient period. Thus other greatest commander like Napoléon Bonaparte, Genghis khan,,Tamburlaine, Attila, II. Mehmed are excluded from the list. I know it’s your opinion but why is hannibal there and Scipio Africanus is not? east towards south east asia. I believe Alexander lost to Burma and all the elephants. No matter what the enemies say, Ramesses II will always be one of the best . Literally had an army of 100000, some of the best tactics and ruled from an empire Africa to the Middle East and controlled the Mediterranean. What about Thutmose III who had 350 cities under his rule and 17 military campaigns? Ramses II was not even in the same league as Thutmoses III. Alexander lost to porus in India and he can never be the greatest general. He was just a good general who defeated Darius an egomaniac who commanded an inefficient army. Other than that, Alexander just defeated some tribes. The best ancient military commander was Cyrus the great…a true commander..
Let me explain why I kept Khalid at the top. Khalid bin waleed, fought one on one with the best fighter of enemy before the start of every single battle. He killed more than 100 best enemy fighters demoralising the enemy force. Neither Alexander, Cyrus, chengix Khan, Napoleon or anyone else did this..
Also Khalid came from a desert and went on to defeat the Eastern Roman empire and sassinaid Persian empire who were the superpowers of the time with no resources available. So for me, Khalid was, is and will be the greatest general of all time. Before trying to define the position of Khalid-ibn-Walid, whether he is the first or last or what ever….one has to read the history of Khalid during his Generalship, especially the battles at yarmouke, in which he completely broke/ destroyed the eastern wide flanked wing of the well known Roman empire and how he destroyed the great Persian Empire in the east. It is clear that the western scholars defy facts, because,….. HE IS A MUSLIM… Therefore, they have not the courage to acknowledge that he is at least one of the 1st Three best Military Commanders of all times.